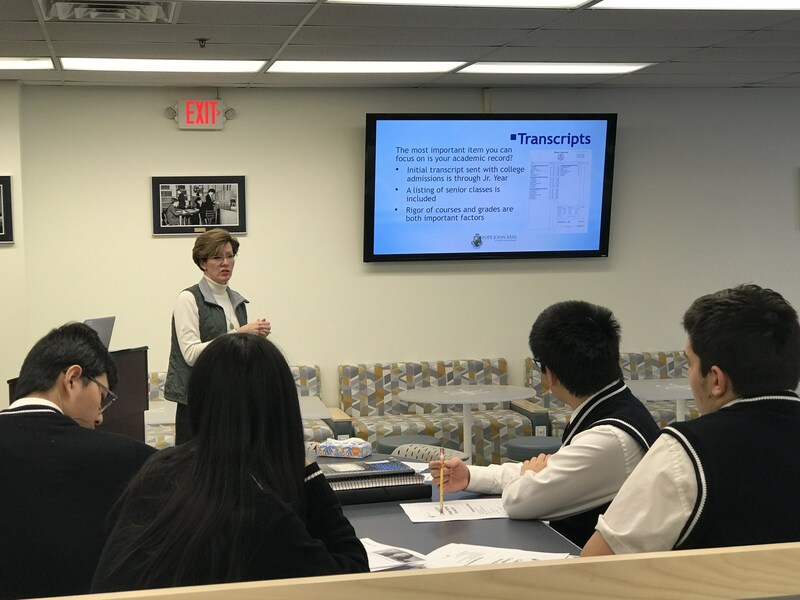 The primary goal of college counseling at Pope John XXIII High School is to assist students and parents in all aspects of the college process, including planning, research, standardized testing, college applications, and financial aid. We strive to help our students find the college or university that is best suited to meet their needs. To that end, students and parents are invited to participate in both group and individualized meetings beginning in the junior year to identify the student’s specific goals. In an effort to ease some of the anxiety that often accompanies college planning, we ensure that our college advisors are never more than a phone call or email away when questions arise. Historically, our senior classes have received impressive scholarship monies, and many of our graduates are accepted by the most selective schools in the country. Perhaps the most flattering testimonials are our alumni’s recurring claims that they were well prepared to meet the demands of a college curriculum. The ability to enter a college classroom with confidence undoubtedly gives our students an edge.